In a Passivhaus, all of the surfaces are maintained at a comfortable temperature all the time, so it’s not the case that the mirror will be particularly cold. With the mechanical ventilation, humid air will be extracted from the bathroom at least as effectively as in a house with a simple extractor fan, so there might not be as much humidity in the air to condense on the mirror anyway. It turns out that the mirrors do get quite bad condensation – even from a fairly short and fairly cool shower – so I am going ahead and installing heaters in the two bathrooms that are wired for them. From an energy efficiency standpoint it would be really bad to have the heaters running all the time and quite bad to have them running whenever the bathroom lights are on, so they’re wired to KNX control relays and scheduled to come IF the lights are on AND it’s in the morning. The heaters are simple resistive devices so it would be an option to wire them to dimmer switches so they could be “dimmed” to reduce the electricity consumption if it’s found they don’t need to run at full power. 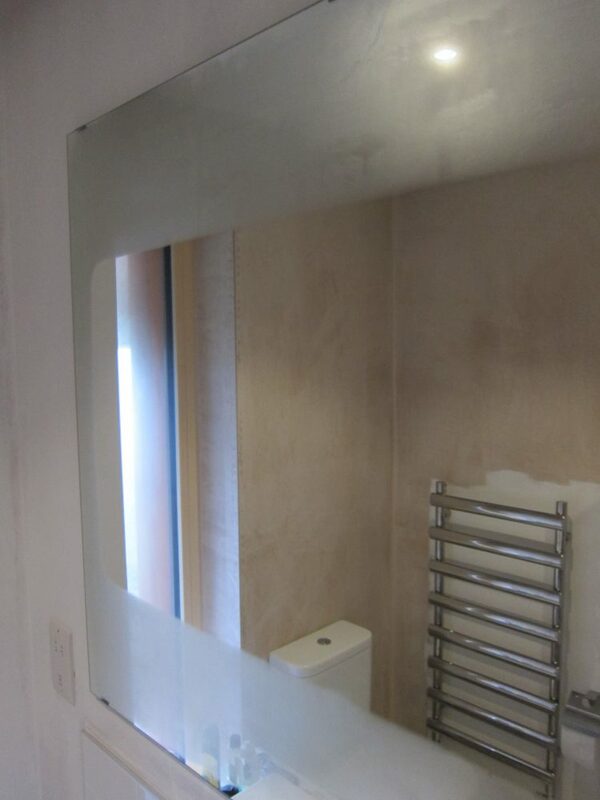 The mirrors are quite big – 1200mm wide x 960mm tall – and while the heated mirror pads are available in large sizes they get very expensive once you go above 1040mm x 524mm so I opted for that size and installed the pad in the middle of the mirror. While there’s a fairly big unheated margin top-and-bottom there’s still a substantial heated section that’s thoroughly usable. 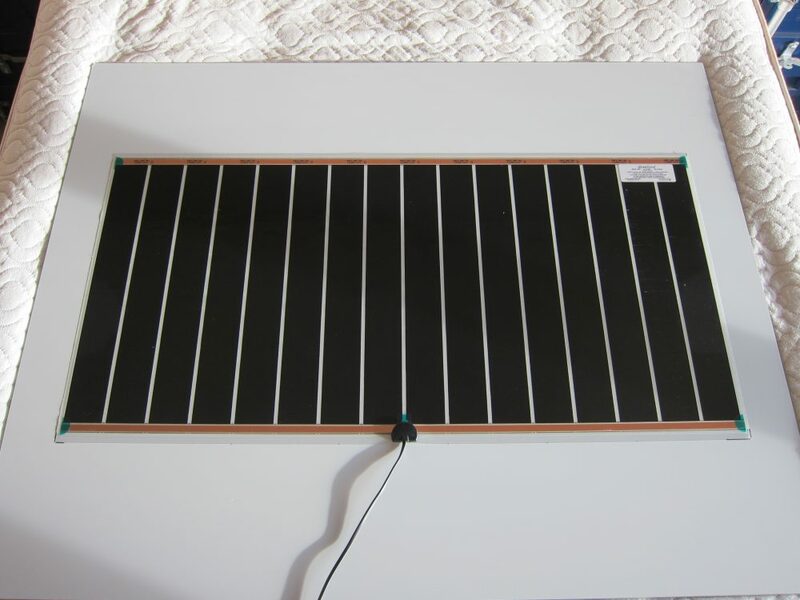 The heaters are nominally 200W per square meter so the 1040mm x 524mm size consumes 100W.